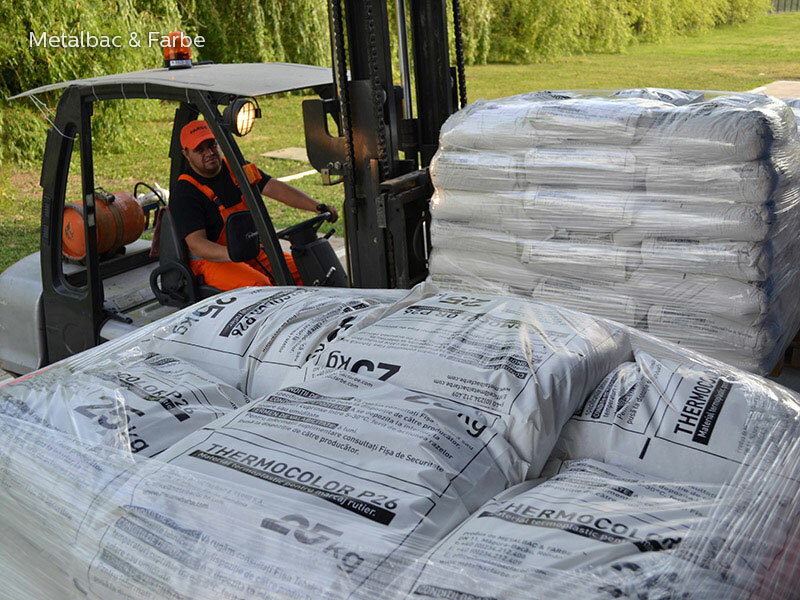 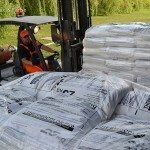 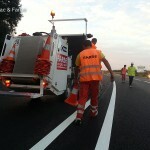 Thermocolor P26 thermoplastic material is designed for application of flat road markings at a layer thickness of 2-3 mm. 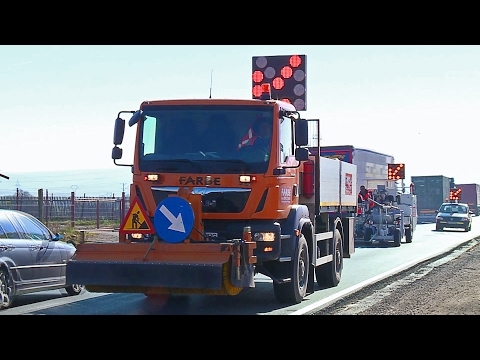 The thermoplastic material Thermocolor P26 can be applied through extrusion as longitudinal road marking or as transverse or diverse markings such as: horizontal road marking signs, pedestrian crossings, bicycle lanes, parking spaces etc. 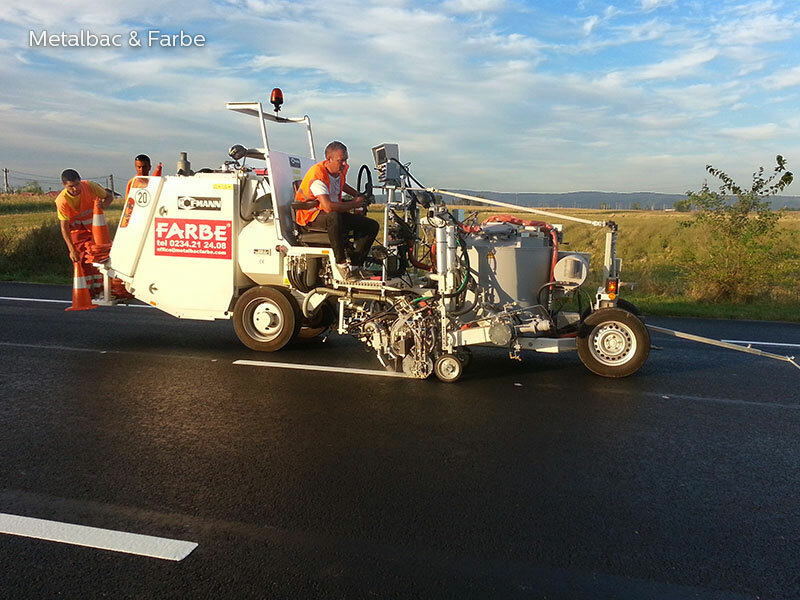 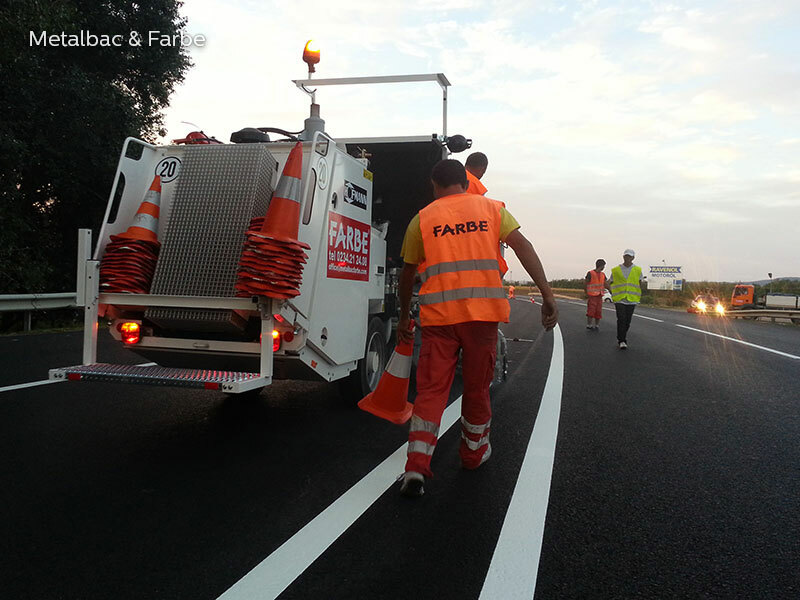 Road markings applied with Thermocolor P26 have a good retroreflection throughout their entire service life due to the glass beads incorporated in the product. 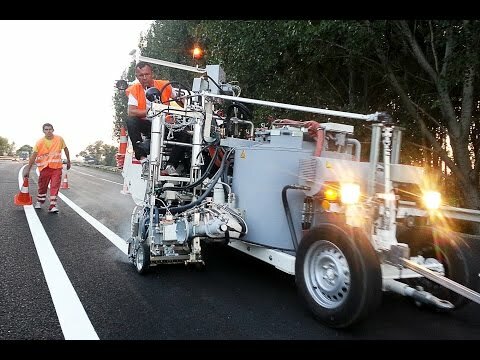 The application is made at temperatures of 180-210 °C using road marking machines equipped with extruder or draw box, built specially for the application of thermoplastic materials. 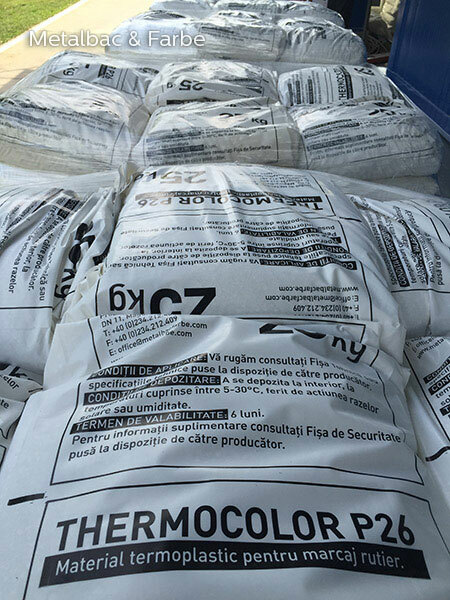 Products: AC-341 primer, thermoplastic material Thermocolor P26, reflective glass beads. 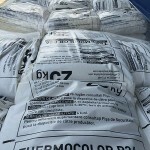 Note: AC-341 primer is used on concrete surfaces and old asphalt surfaces with old bitumen or poor in bitumen that do not provide good adhesion anymore. 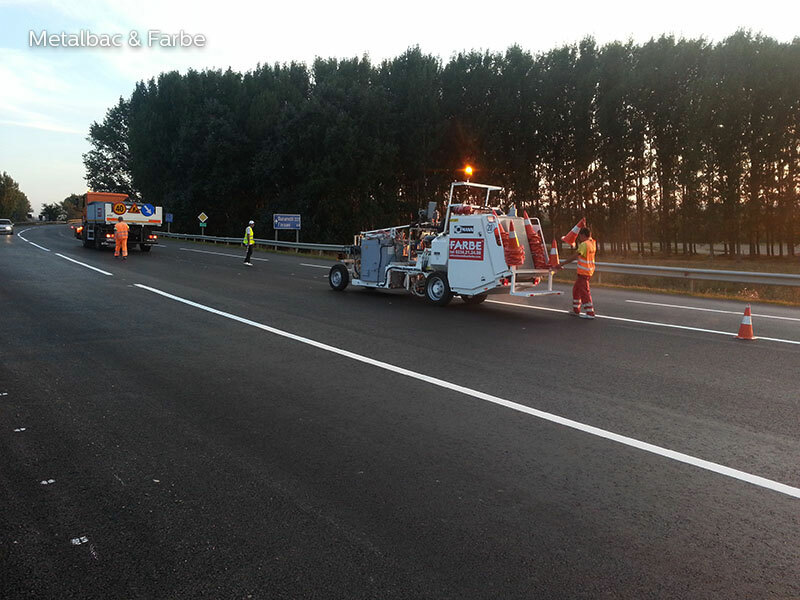 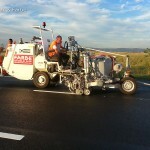 fast hardening (cooling down) – allows traffic reopening shortly after application.